Jarod Contreras, host of the Touching The Trail podcast, interviewed me about running, hiking, living in a van, international adventures, and life in general. We had a great conversation and I’m looking forward to running with him in Southern California soon! Click here to listen to the podcast. 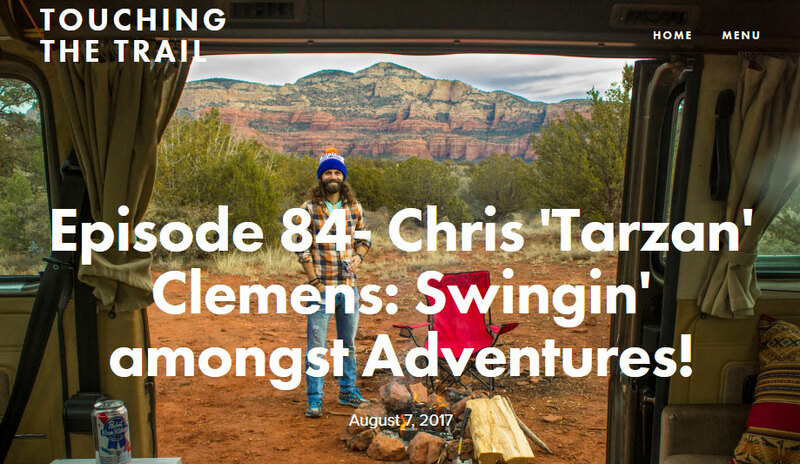 Whether it’s waking up in his 1985 VW Westfalia camper or along the Appalachian Trail Chris ‘Tarzan’ Clemens knows how to find adventure. Chris is someone that I have been following for awhile now and have always been fascinated by his ability to seemingly live so simply and yet have so many awesome adventures. Chris lives out of his camper van, he is an ultrarunner, a thru-hiker, an adventurer, a world traveler, a freelancer and someone who has forged their truest life. Chris has driven all around the US and Canada, bike toured through Chile and Argentina, backpacked in Ecuador and Peru, ran ultras, hiked the AT, and so much more. But, regardless of how much I regale you with his exploits you need to hear about them from the man himself. That very same man gets out into our world and understands that if you go through life completely comfortable you’re never going to grow, which breeds his idea of AntiComfortable. This episode is about getting rid of the junk, of simplifying, of seeing the beauty in the basics. Everyday Chris lives the basics in his camper and lives in the present, not hindered by superfluous possessions. Listen in as we discuss how to be minimal, how to live truly, how to endure, how to get out of your comfort zone, and how to find yourself. Enjoy.